Although a diabetic’s main concern may be managing blood sugar, they should also make sure to take proper care of their feet. 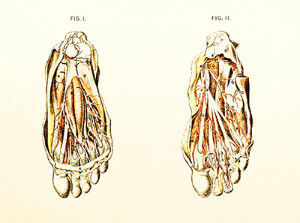 At times, diabetes may cause nerve damage in the feet. This condition is known as neuropathy. Neuropathy causes the nerves in the feet to have limited or no sensitivity to pain. As a result, calluses and small foot scrapes can very quickly become dangerous infections and wounds. It is important for diabetics to have their feet inspected on a daily basis and examined by a podiatrist at regular intervals. Athlete’s foot is a condition that many people may encounter at some point in their lives. While severe cases of the condition should be referred to a podiatrist, athlete’s foot prevention can be easy with the help of a few simple steps: Wash the feet thoroughly with soap and water, keep the feet clean and dry, wear clean socks and shoes, change shoes and socks often, practice good hygiene, wear sandals or slippers at a public shower or pool, use antifungal powder when needed, and wear shoes that are well-ventilated. Hygiene is key in preventing athlete’s foot and if practiced regularly, should keep the condition at bay. If you have any questions, please feel free to contact our office located in Hamilton Township, NJ. We offer the newest diagnostic tools and technology to treat your foot and ankle needs. Foot diseases and other foot-related problems often become more prevalent as we age. 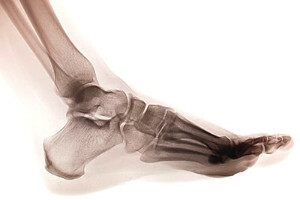 Years of bearing body weight and certain ailments can combine to wreak havoc on the feet and ankles. 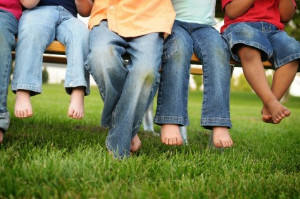 The foot problems we may experience as time goes on vary from minor to potentially very serious. First and foremost, if you are a diabetic, foot care needs to be a high priority. Diabetic ulcers and sores, if left untreated, can lead to infection and even gangrene, resulting in amputation. Daily foot inspections are necessary to ensure that there are no cuts, sores, or swelling. Even something as seemingly minor as cracked skin on the foot can lead to terrible consequences if gone unnoticed. Using moisturizer and soap that doesn’t dry out the skin can help in this area. That being said, it is also important to keep the feet dry, as toenail fungus grows more readily in moist environments. Keeping the feet elevated is also a good tip. This will help circulate the blood to the lower extremities. Poor circulation can lead to serious medical conditions. If you need your feet checked, contact Dr. Donald Manger of Associated Podiatric Physicians, PA. Dr. Manger will attend to all of your foot and ankle needs and provide you with quality treatment. Gout is one of the most painful forms of arthritis, commonly affecting those aged 60 and higher. Associated with high levels of uric acid, gout is typically characterized by pain and redness in the joints. Many health professionals agree that gout risk can be lowered by managing one’s diet, which involves reducing foods and drinks high in purine from one’s food intake. These foods include alcohol, red meat, organ meat such as liver or kidney, certain seafoods, drinks high in fructose, and processed foods. Lowering one’s uric acid levels is key in reducing gout risk. Plantar fasciitis is a foot condition that most commonly affects those between the ages of 30 to 55, especially those who are athletes. The plantar fascia, a ligament that runs beneath the sole of the foot, supports the arch of the foot and acts as a shock absorber. Repeated stress and impact to the heel, however, can cause the fascia to tear and become inflamed. This results in the foot condition, plantar fasciitis. While there are various specific causes of this condition, excessive pressure is often the culprit. 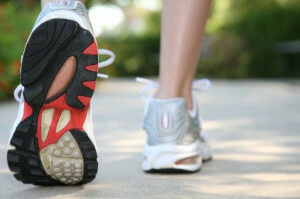 To determine the cause of your plantar fasciitis and the most appropriate treatment, consult with your podiatrist. High heels have long held the stigma of being uncomfortable and unconventional for daily wear and for work. Health risks such as nerve damage, early arthritis, and long-term joint pain all come with long-term wear. Emerging business women, however, are looking to turn that notion around and develop high heels that do not damage the feet as much. Dolly Singh, CEO of a footwear company, is collaborating with designer Julia Thomas to create an office-friendly collection. When starting her brand, Singh recruited rocket scientists from SpaceX, along with a number of engineers to develop shoes. Her new collection will reportedly reduce the amount of pressure typically placed on the toes and the balls of the feet, using aerospace-grade foam and redesigned heels. Activities where too much pressure is put on the feet can cause stress fractures. To learn more, contact Dr. Donald Manger from Associated Podiatric Physicians, PA. Dr. Manger can provide the care you need to keep your pain free and on your feet. Heel pain is a condition that plagues many people, and chronic cases can be especially difficult to endure. For many common cases of chronic heel pain, plantar fasciitis is the underlying culprit; plantar fasciitis affects all types of people, though most commonly active men between the ages of 40 and 70. Plantar fasciitis pain manifests in various ways. For some people, it can be described as dull; in other cases, people feel it as a sharp pain, a burning sensation, or an ache that extends outward from the heel. There are various factors that can contribute to plantar fasciitis. To determine the cause of your heel pain and the best way to treat it, consult with your podiatrist. According to findings presented at the American College of Rheumatology Annual Meeting, patients with higher weights are more susceptible to foot pain. 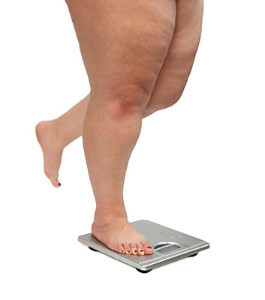 Instructor of Medicine Alyssa B. Dufour of Harvard Medical School and her colleagues studied 28 different measures over 57 years to identify the trajectories of weight in the Framingham Foot Study. After five such trajectories were established, patterns began to develop that showed a correlation between higher weight over time and higher levels of foot pain. If you have hammertoes, it may be due to a number of factors including improperly-fitting shoes or muscle and nerve diseases that can affect your feet. Hammertoes are described as bent and curled toes, seeming to resemble the claw of a hammer. The condition is permanent and may require treatment if pain progresses. 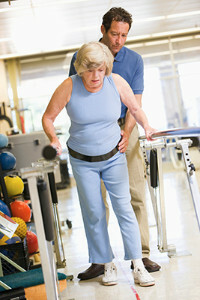 Typical treatment includes wearing the proper footwear and physical therapy. A final option is surgery for severe cases, but consulting with your podiatrist first about your condition is recommended before deciding on the surgical option. Hammertoes can be a painful condition to live with. For more information, contact Dr. Donald Manger from Associated Podiatric Physicians, PA. Dr. Manger will answer any of your foot- and ankle-related questions. As the winter months are here, you may find yourself switching to winter shoes such as boots. However, it’s important to be mindful that boots are often narrow and can irritate bunions. Bunions are bony protrusions on the side of the feet that develop over time. Narrow shoes such as winter boots can contribute to the progression of this condition, so it’s vital to accommodate your feet with the proper footwear. Opt for wide shoes and look to treatment options such as orthotics, padding, and if the condition is severe, anti-inflammatory medications, injections, or surgery. There are many different causes of numbness in your feet, ranging from trivial to potentially very serious. If your feet and legs are “falling asleep,” this is usually do to compression of the nerves. Because of this pressure, the nerves are not receiving the proper amount of blood and they are not able to communicate properly with the brain. Poor blood circulation to the lower extremities, especially the feet, can be a symptom of neuropathy. Diabetics should always take care to check their feet and make sure that nothing seems numb. Poor circulation might also be an indicator of peripheral artery disease (PAD). Make sure to see a podiatrist if you have numbness or feel that you have lack of blood flow to your feet. Poor circulation is a serious condition and needs immediate medical attention. If you have any concerns with poor circulation in your feet contact Dr. Donald Manger of Associated Podiatric Physicians, PA. Dr. Manger will treat your foot and ankle needs.